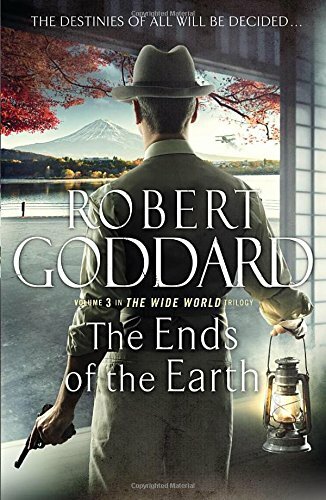 Don’t do what I did, and read the first two books in this series by Robert Goddard and then leave 12 months before reading the third. Ideally this trilogy should be read back to back, in full sun when sitting on a sunlounger. The story runs along at a cracking pace, with dense plotting, loads of characters, politics, spies and locations from Europe to Japan. The pace of this, the third book, is constant, hardly time to draw a breath. Questions that I had forgotten about from the first book are revisited, challenged and solved. Japan is the scene for the climax of this tale of James Maxted, ‘Max’, and his hunt for the truth about his father’s death. But this is so much more than a single case of murder, on it hangs the future of post-Great War Europe and the twentieth-century relationship of Japan and America. At times things happen which seem a little convenient, a person turns out to have a skill or history of which we knew nothing before, but I forgave Goddard for this. He is a prime storyteller. It is clear he knows his settings – Paris, Marseilles, Switzerland, Japan – and this adds to the verisimilitude. This sounds fantastic – I love a good spy yarn!